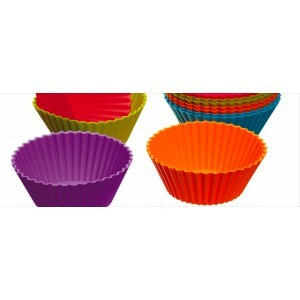 We have an extensive selection of coloured and patterned Cupcake, Muffin, Petit fours, Silicone and our new Buffin cases for cupcake baking & making. You can choose from a wide range of cases from wavey, stripes, flowers, spots, foiled, gingham, shoes, hearts, pastel and coloured, or try our mini cases if you are baking some petit four cakes. We also have a fantasic selection of themed cases including, Bithday, Balloons, Princess, Football, Christmas and Seasonal cases. Our decorative lace and printed cupcake wrappers in various designs and colours, are perfect for wedding cupcakes or to simply add the finishing touches to celebration cupcakes.